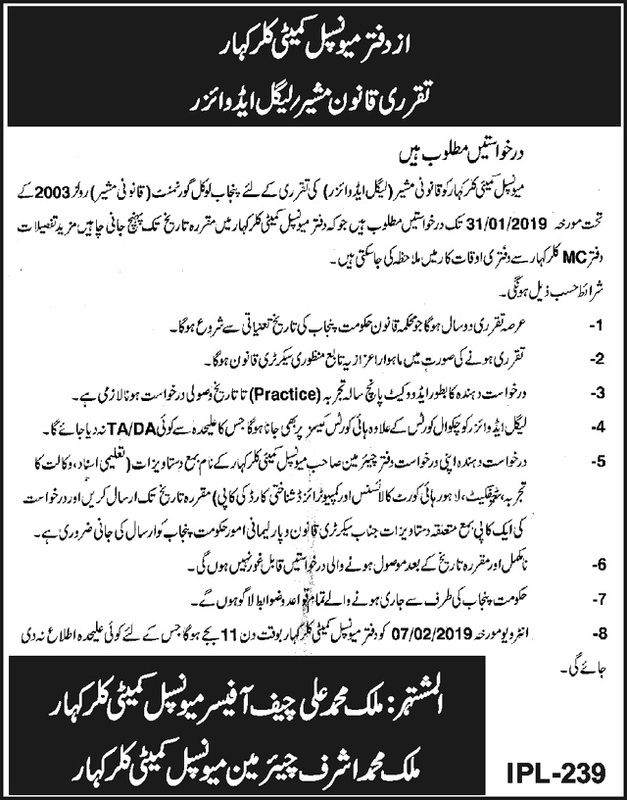 Below are the complete details of the Legal Advisor jobs in Municipal Committee in Kallar Kahar. Skills Required for Job: Skills:- Listening, Speaking and writing & Analytical and Problem solving skill. Oral Communication. Written Communication. Client Service. Analytical and Logical Reasoning. Legal Research. Qualification: Legal Advisor Jobs in Municipal Committee, Applicants Should Have relevant Experience, Interested Candidates Will be Given Attractive Salary. 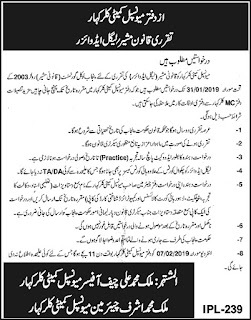 Legal Advisor jobs in Municipal Committee Kallar Kahar, in Pakistan published on Paperpk.com from newspaper on January 12,2019. Job seekers who are already working as Legal , Financial Advisor , Legal Advisor , Legal , Law Officer , Pharmaceutical Legal Advisor can also apply for post of Legal Advisor.